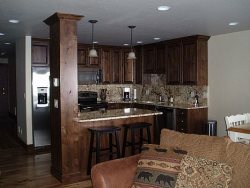 "We LOVED the cabin look and feel inside and out: we arrived to find it was better than the pictures! Absolutely beautiful home: and wel..."
"The cabin is spacious, modern rustic, well kept, with many amenities to accommodate a large group. We couldn't have asked for more. I..."
"We highly recommend this rental. It was clean, very spacious, and easily slept the number of persons it said it would. We were impresse..."
"My husband and I and our awesome, long time friends stayed in this property for 6 nights! It is up-dated and very cozy. It also has a..."
"House was awesome and had everything we needed. Very close to downtown as well. We looked through quite a few before landing on this on..."
Condos as Low as $109 per Night! 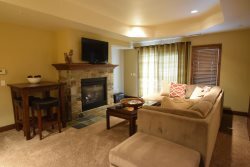 Johnson & Company Vacation Rentals has been serving people for over 30 years with professional and friendly service. 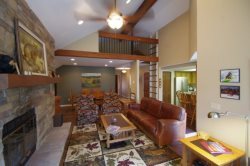 We manage a wide selection of vacation cabin and condo rentals that will accommodate a variety of events including Family Reunions, Sporting Events, Retreats, Weddings, Honeymoons, Anniversaries, Business Meetings, Hunting, Fishing and Weekend Getaways. Johnson & Company Vacation Rentals Welcomes You! Located in one of the most breath-taking mountain resorts, McCall features wide open mountain charm and mixes it with a range of activities 365 days a year. Find the best selection of McCall lodging at Johnson & Company Resort Properties. We've been helping our guests plan memorable vacations in beautiful McCall since 1980. Luxury homes, cozy cabins, beach front condos, we have something for every occasion & budget. Whether it be a family reunion, wedding, hunting, fishing, skiing, or a romantic get away. 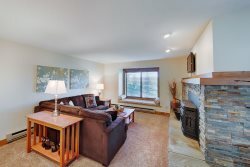 We can help make your stay in McCall Unforgettable! Your BEST source for vacation cabin & condo rentals!